Imagine not being afraid of a dentist appointment. Or how about being able to accomplish all your dental care in as little as one appointment. 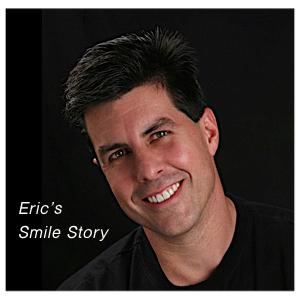 This is what Conscious Sedation Dentistry can do for you. You will be able to smile with confidence and chew your food without pain. If you’ve been putting off dental work for years, conscious sedation can change your life. Conscious sedation dentistry has been used safely for over 30 years with millions of dental procedures. Before starting any dental treatments, Dr. Klim will review your medical history and explain how conscious sedation can work for you. Dr. Klim wants you to feel confident about moving forward with dental care. On the day of your appointment, you’ll take medication – in pill form and then a companion will take you to the office. Our experienced clinical team members will make certain that you’re relaxed and completely comfortable as they monitor you very closely while you are sedated. Many patients feel NO DISCOMFORT whatsoever during and after treatment, and have little or no memory of the visit. Q. Will I feel any pain? A. Most of our sleep dentistry patients feel no discomfort whatsoever during their treatment. Q. Will I be totally relaxed? A. You’ll receive just enough sedation so that you will be completely unaware of the treatment, as if you were asleep. Q. Will I remember anything? A. At the end of the sedation dentistry appointment, you’ll have little or no memory of your dental treatment. Q. Will I be groggy after my treatment is over? A. You will feel just fine afterwards. For your safety, we do require that you have a family member or a close friend drive you home. Q. Will my insurance cover treatment? A. We’ll help you review your insurance coverage and, if necessary, make financial arrangements to insure you get the dental care you need. A. Prior to starting any treatment, Dr. Klim will review your medical history, and our staff will monitor you very closely while you’re under sedation.